Smartphone developer High Tech Computer (HTC) introduced a completely revamped user interface on its latest smartphone running Google Android software, the HTC Hero, highlighting the importance companies see in making users love the software on their handset. HTC’s new UI software was designed so people can customize the handset to meet their own needs, from choosing a clock style to putting the most often used functions on the home screen, such as a Wi-Fi switch, weather gauge, or a widget for Twitter feeds or friends’ Facebook status. The software also allows users to customize dozens of other screens for different aspects of life, including work, family and play, and keep them a few taps away on the touchscreen. 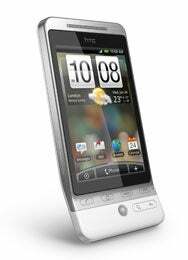 The company calls the new software HTC Sense, and it will be introduced in HTC’s entire portfolio of mobile phones starting with the HTC Hero. The company is the world’s largest maker of Microsoft Windows Mobile smartphones, and handsets running that software will also run HTC Sense in the future. The dual-mode WCDMA/GSM smartphone has a 3.2-inch touchscreen with 320x480 pixel resolution, a 5-megapixel autofocus camera, an expandable MicroSD memory card slot, GPS, a digital compass and 3.5mm stereo headset jack. HTC has had trouble in the past, particularly with the first Diamond series, with fingerprint build-up on the devices, so the new phone has an anti-fingerprint screen and a Teflon coating. The Teflon coating is designed to improve durability and give the handset a softer feel, the company said. The device also includes a Search button that goes beyond just searching the Internet and contact lists or email on the handset by enabling search through Twitter, the kind of real-time search companies have been working on. HTC did not immediately say where the technology comes from but the Android software working on the HTC Hero is from Google, the Internet search leader. Real time search opens new possibilities because Twitter offers up-to-the-minute data such as how crowded the beach is or how high the waves are for anyone considering a day at the ocean or an afternoon surf, or whether there's fresh powder on the ski slopes today, or if a speech or concert is worth going to now, because people are sending that kind of data across Twitter in real time. The HTC Hero will be available across Europe in July and in Asia later in the summer. A North American version of the handset will be available later this year, the company said.